Up to the end of June most events are free to paid-up Spider Club members. For those who are not paid-up members of The Spider Club we charge R50 per adult and R10 per child 11 years and under with the option of paying R120 PER FAMILY for annual subscription. From 1st July there will be no more compulsory subscriptions but everyone will have to pay to attend field trips and some other events. Some venues will also require an entrance fee which must be paid by each individual. For field trips we will supply vials, magnifiers, plastic pill bottles and some other basic collecting equipment but please bring your own if you have as well as any reference books, a picnic lunch, adequate water, a hat and good walking shoes. 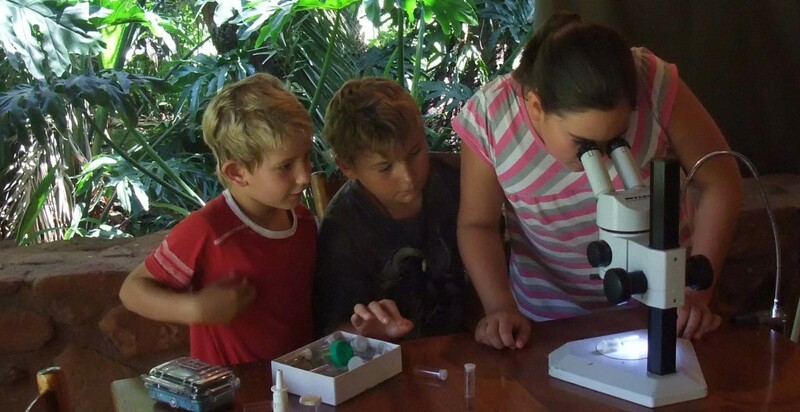 The Spider Club of Southern Africa is a non-profit environmental interest group providing a fun, responsible, social learning experience, centered on spiders, their relatives and nature in general. Our aim is to encourage and develop an interest in arachnids, including spiders, scorpions, solifuges, whip-spiders, harvestmen and pseudo-scorpions, and to promote this interest and the study of these animals by all suitable means. Field outings, day visits, arachnid surveys and demonstrations, workshops and exhibits are arranged for members and for the public. A calendar of events is published in the quarterly newsletter, and on this web site. Membership is open to anyone – people interested in joining the club may apply.